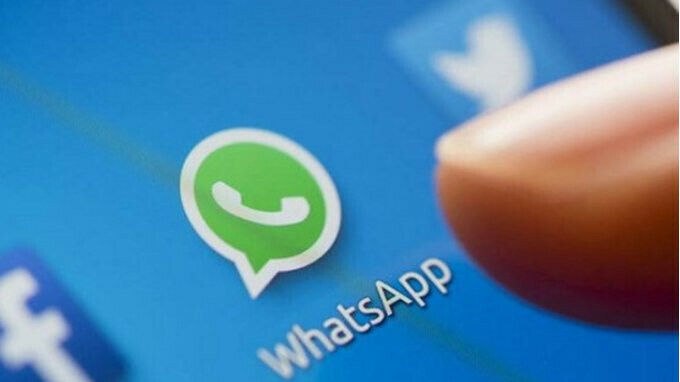 Earlier this year, WhatsApp introduced the WhatsApp business app which is a redesigned version of the regular WhatsApp app with extra features which allows small and large companies bring their products and services closer to their customers by taking advantage of the app's large user base. WhatsApp however released the business app for Android users only with no word on if it will be released for iOS and Windows phone users in the future. 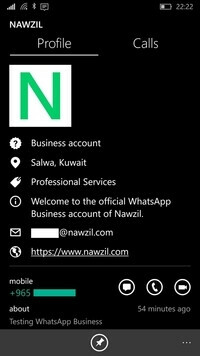 A new image has just surfaced online which shows that WhatsApp might currently be in the process of developing a Windows 10 mobile variant of the business app alongside a number of unique features. The business profiles will include a unique badge and just like on the Android variant, there will be an option to add a number of details to profiles such as email address, website link, business category, short description and even contact number. WhatsApp business also supports Landlines and automated messages as well as option to add opening hours. The app still remains free for small scale businesses but bigger companies have the option to pay an extra fee for extra features to help them manage thier large customer base. At the moment, the Facebook owned company is yet to make an official comment on the ongoing development for the WhatsApp business app for windows 10 mobile platform, but it shouldn't take too long before the official release.